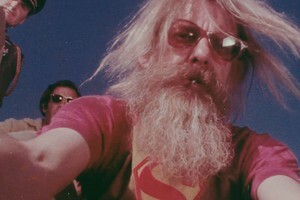 Although Hal Ashby directed a remarkable string of acclaimed, widely admired classics throughout the 1970s—HAROLD AND MAUDE, THE LAST DETAIL, SHAMPOO, COMING HOME, BEING THERE—he is often overlooked amid the crowd of luminaries from his generation. This exuberant portrait explores that curious oversight, using rare archival materials, interviews, personal letters, and audio recordings to reveal a passionate, obsessive artist. Ashby was a Hollywood director who constantly clashed with Hollywood, but also a unique soul with an unprecedented insight into the human condition. His films were an elusive blend of honesty, irreverence, humor, and humanity. Through the heartrending and inspiring HAL, you feel buoyed by Ashby’s love of people and of cinema. Amy Scott is a director and editor living in Los Angeles. A former media producer for the University of Chicago, she has been editing social issue documentaries for over fifteen years. Amy began to recognize the impact of the interview while working for Studs Terkel cataloging his radio interview archive at the Chicago History Museum. HAL is her feature length directorial debut. "A most welcome reassessment of one of the most important figures in 1970s Hollywood."